Edmondsans Font was designed by James T. Edmondson. By the name Edmondsans itself, it is a sans serif type of font that will be perfect for use in a primary brand typography or even for design, advertising, and marketing projects. Edmondsans Font is available in three varying weights: regular, medium and bold with 336 glyphs. 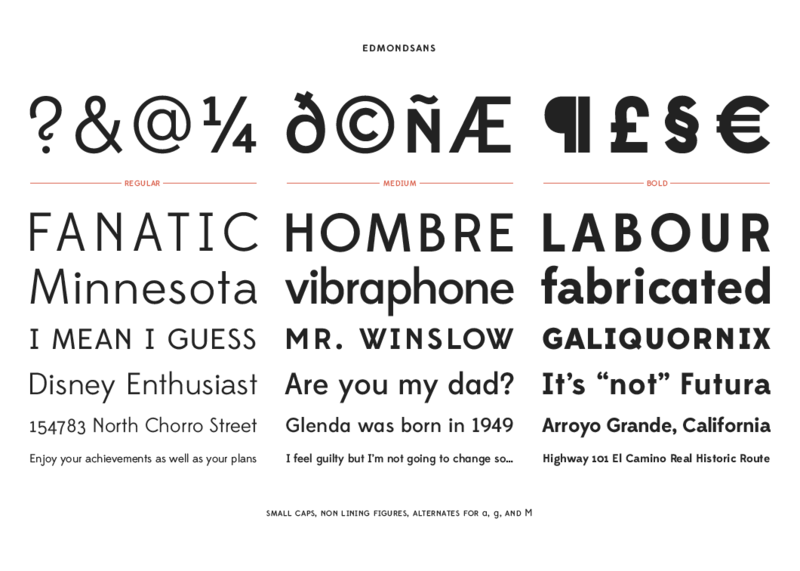 In terms of the licensing of this font, you may pay-what-you-want for a personal use license. Edmondsans font has a uniform weight, the spacing of the elements are equally proportionate despite having a wider font width for some letters. It has sharp tips yet it is contrasted well with rounded curves. The beauty of the Edmondsans font is despite its varying widths it is still readable, providing ease. On the technical side, copy fitting is visible on the letters. What this means is there is an adjusted point size and letter spacing to make text occupy its given space to create a balanced and cohesive look. The Edmondsans font includes small caps, non-lining numbers, as well as case sensitive punctuation and alternative characters to give the designer or user full typographic power that may be applied to his or her designing and branding projects. Wondering how to to make good use of this font? There are endless possibilities with design and with improving technology and software features, you can craft any design project imaginable. Let us give you some hints on how you may use this font for your design project. Manipulate. If you are a beginner with design and are using Illustrator, you could start practicing with the software’s pen tool. You could trace the font or maybe fill it with color and craft it to match your design preference. Layout. In the same software, you could also use the Edmonsans font to create a clipping mask in Illustrator. The latter can take your designs to a different level. But what is clipping mask anyway? It is an object that masks or hides other artwork, so you can only see the artwork inside the shape. To put it in a better light, it is like taking a window but it only emphasizes what is to be seen through the window. That basically sums up clipping mask feature in Illustrator. Applying a clipping mask is, taking two objects together, in this case, your preferred background and font (let’s say Edmondsans font). Make sure to align the font to the designated part of your background. You can then apply the clipping mask after that. Branding and branding collaterals. You could put the Edmondsans font at your disposal as the primary font for your brand. If you want to take it up a notch, you could also manipulate it to match your brand’s creative brief and design preference. You may incorporate the Edmondsans font to your brand’s business cards, brand guide, letterheads, portfolio and other branding collateral. Advertising collateral. Advertising does require a range of applications for their brand logo or just text. You may apply the Edmondsans font as the primary or secondary font to your advertising collateral. With its readability and legible font design, it will be perfect for outdoor advertisements like banners and posters, as well as print collateral like business cards, brochures, website content, social media content, and so on. Reference. 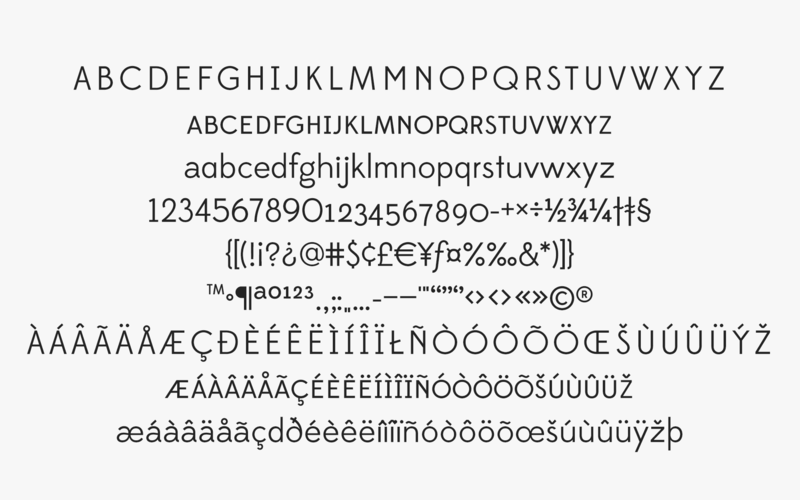 You may use this font as a reference for your typography project or have it handy when you need to manually do a poster, art, or design. Contrast. A general design rule is to have a limit of three fonts in a design. We’ll not be breaking any rules with this so no worries. You could always pair different fonts with the Edmondsans font. The latter is a sans serif type of font so you may contrast it with a similar type, lighter font weight, or even an intricate type of font. For a more extensive font selection, we have listed a collection of modern fonts that we’re sure are useful in crafting your brand and other design projects.